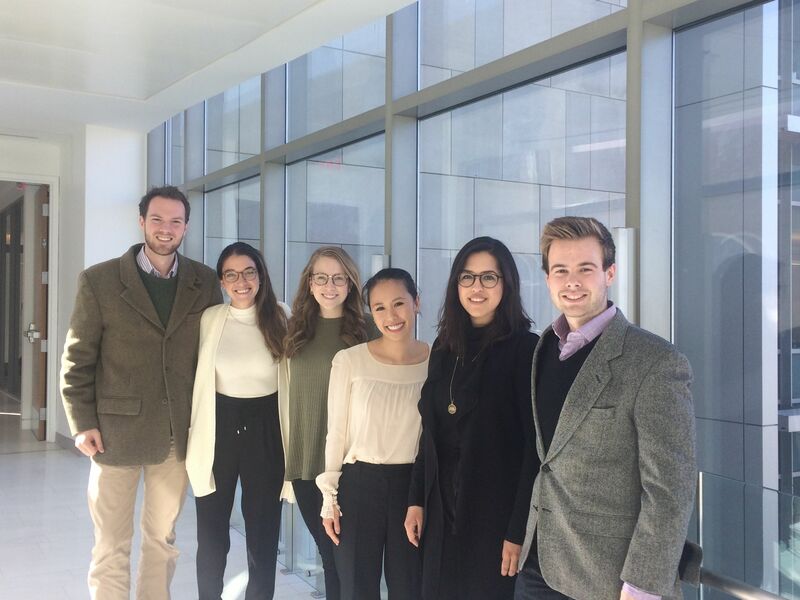 The Center's Student Advisory Board (SAB) is a group of highly qualified, creative students committed to human rights advocacy. The SAB provides students interested in and committed to human rights the opportunity to participate in the planning and implementation of Center programming, to learn tangible skills beyond the classroom for effective advocacy and activism, and to attend special SAB-only events and receptions. The Center is currently accepting applications to its 2019-2020 Student Advisory Board (SAB)! SAB members meet weekly with Center leadership and participate in periodic skills development seminars that focus on topics like grant proposal writing, public speaking, social media, and more. The Board is a year-long February 2019 to February 2020 commitment that continues throughout the spring, summer and fall semesters. Applications are due by 11:59 PM EST on Sunday, January 20, 2019. They should be emailed, along with a resume, to afagan@wcl.american.edu with the subject “Student Advisory Board.” Applications and resumes may also be submitted in person to Program Coordinator, Stacy Fagan, at the Center’s office at Capital Hall, Suite C205. All applicants will be interviewed. Please note that interviews will take place on January 23-25, 2019. Please visit the following website at your earliest convenience to sign up for an interview timeslot: https://doodle.com/poll/ncin95cbi6xb3by3. The sign up sheet is first-come, first-serve. All JD and LLM students are welcome to apply! Lucia Canton graduated from Penn State University with a B.A. in Rehabilitation and Human Services. Prior to law school, Lucia interned at the International Rehabilitation Council for Torture Victims (IRCT) in Copenhagen and Mexico City researching various rehabilitation approaches used by field offices in predominantly Spanish-speaking countries. She was most recently a protection intern at the UN High Commissioner for Refugees' Protection Unit in Quito, Ecuador. Stephanie Daigle graduated from the University of Central Arkansas with a degree in International Studies and a minor in Public Administration. While an undergraduate, Stephanie worked for the Children's Advocacy Alliance providing legal and social services for foster children in Arkansas. At WCL, she worked in Uganda with Refugee Law Project to provide legal assistance to refugees, and is currently a Research Associate at the Public International Law & Policy Group. Andrew Johnson graduated from Virginia Tech with a degree in International Studies and a minor in Spanish. As an undergraduate, he was a Division 1 athlete, and founded the Kids That Care charity golf tournament in partnership with the Special Olympics and the National Junior Golf Association. He is staff writer, covering the Americas, for the Human Rights Brief and is participating in the Equal Justice Foundation. Page Monji graduated from Wellesley College with a dual degree in English and Classical Civilization Studies. Prior to law school, Page worked in the international public health sector, specifically in Africa, Mesoamerica, and Southeast Asia. At WCL, she serves as a junior staff writer for the Human Right Brief, and is a member of the Events and Publicity Committee for the Equal Justice Foundation. Marcela Velarde graduated from the University of Texas at Austin with a double major in International Relations & Global Studies and Government, and minors in Latin American Studies and French. As an undergraduate, Marcela worked as an intern for UT Austin’s Human Rights Clinic assisting the United Nations Working Group on Enforced or Involuntary Disappearances and conducting research in Nicaragua on race and gender-based discrimination. Most recently, Marcela served as a Status Updater for the War Crimes Research Office.